At the moment, Chiang Mai, and several other Northern Province in Thailand Air Quality Index (AQI) have been ranked WORST in the world. It is due to farmers and factory burned massive amount of their agricultural waste at this time of the year, every year. However, it became bad problems now, because amount of those agricultural waste got bigger, and it last longer year by year. I will not say much here, but please let the photo above tell you all the story. 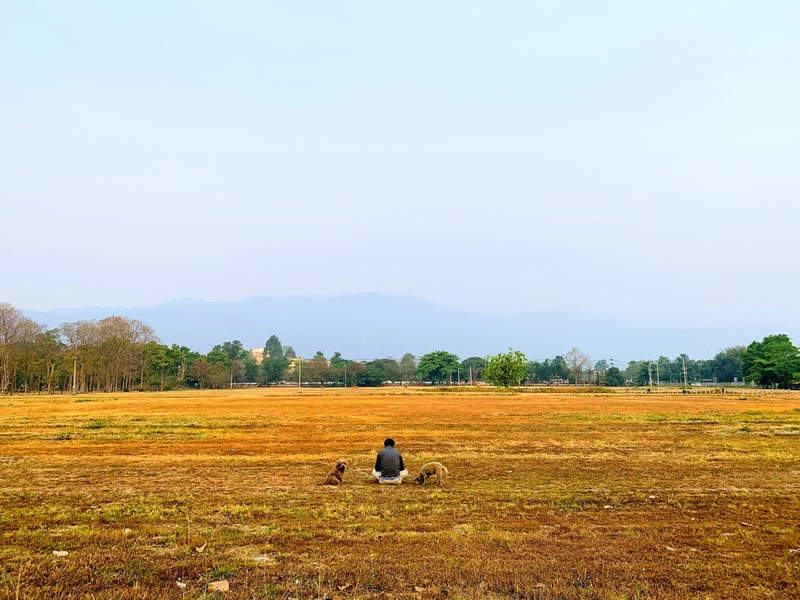 I felt sad to see it, because I saw this gentleman walking his dogs there everyday, sitting in the middle of Chiang Mai university park watching Doi Suthep, which could hardly be seen.